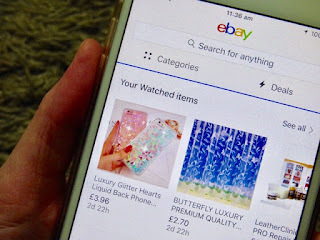 I use eBay quite a lot for buying items and occasionally for selling, but recently I have accumulated so much stuff so I've decided I need a big declutter, so what better way to get rid of my unwanted items than to put it on the buying and selling site eBay. I have so many unwanted and unused items that could be given a good home, plus I can make a little extra cash along the way. *Snap it - Take a good picture, ensure you have good lighting and make sure you take several shots of the items. *Write it - Use keywords to write a description of your item that is interesting, informative, and of course, honest. *Post it - Or if you like you can arrange collection from your home. I have happily snapped away at a few items that I no longer need, check them out on my eBay account, I defiantly have more unwanted bags, toys and clothes that I'm just hoarding, so I'm hoping to get around to putting them on soon. 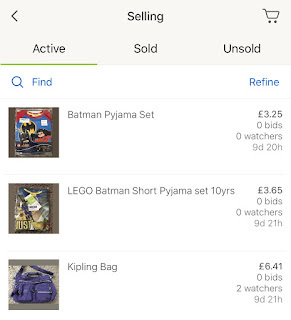 Using the eBay app, listing online is really simple or you can sell via the app (on iTunes store or Google Play) or via the desktop/ mobile site, I defiantly prefer using the app for simplicity quickness and ease. Selling and listing an item on eBay can incur a small listing fee, which you will be notified of before you proceed with the listing. 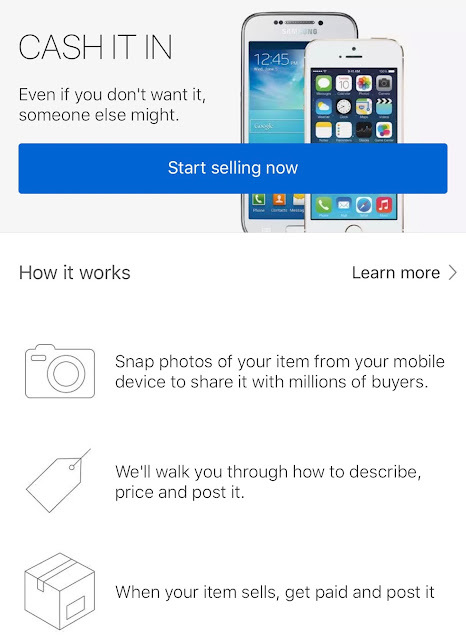 eBay gives sellers the chance not only to find new items, but allows you to sell stuff you no longer need, but someone else surely will, and by getting rid of those unwanted items I can finally declutter.